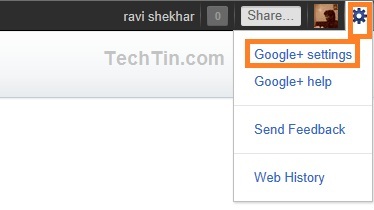 Login in your Google Plus account. Click settings icon and then click Google+ settings. Now select your new language from drop down language list. The new language selected is your new Google Plus language. You can also add more than one language. Click Add another language link below drop down language box.